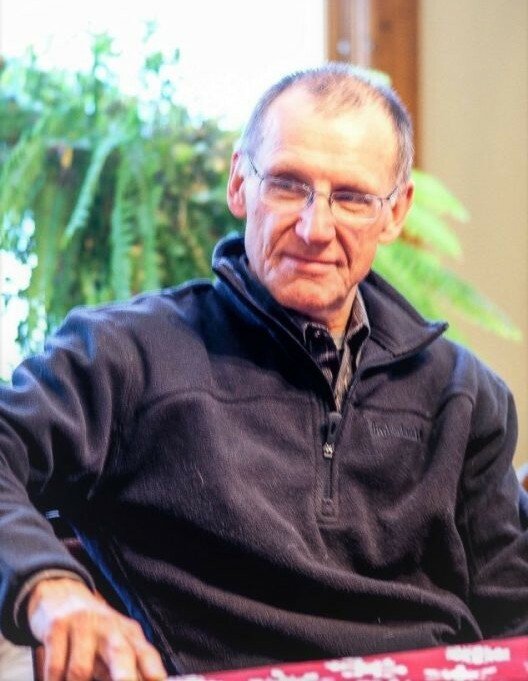 Keith Michael Olszewski, 64, of Glendale, Wis. passed in peace, Wednesday, March 20, 2019, surrounded by his family, after a lengthy battle with cancer at Sharon S. Richardson Community Hospice. Keith was born on October 22, 1954, in Ashland, Wis., to Joseph and Mildred (Kolich) Olszewski. He was a 1972 graduate of Custer High School. Keith continued his education attaining a bachelor’s degree in business administration at UW-Milwaukee. He was employed with several Milwaukee area financial institutions, and held various executive banking positions throughout his tenure, most recently, he served as senior vice president of underwriting and credit administration at Associated Bank in Milwaukee. Keith will be fondly remembered by his family and friends as a successful business man, and for his passion for running, enjoying family gatherings, quirky personality and his love of golf. Keith is survived by his mother, Mildred Jane Olszewski (Kolich); brother, Gregory Joseph, Sr. (Susan Wartenbee) Olszewski; and two sisters, Jann Louise (Troy) Opgenorth and Kay Ann (Chris) Giese. He is further survived by four nieces and five nephews and two great-nieces and two great-nephews. Keith was preceded in death by his father, Joseph Edward Olszewski. A time of visitation to celebrate Keith’s life will be held on Tuesday, March 26 from 4 p.m. until 7 p.m. with a prayer service at 5 p.m. at the Wenig Funeral Home in Oostburg, Wis. A second visitation will take place at the Anderson Funeral Home in Escanaba on Thursday, March 28 from 10 until 11 a.m. A Mass of Christian Burial will take place at St. Thomas the Apostle Catholic Church in Escanaba at 11 a.m. Keith will be buried next to his parents’ plot, in Gardens of Rest Cemetery in Escanaba. The family wishes to extend a heartfelt thank you to the doctors, nurses and surgeons at Froedert for their efforts and also to Sharon S. Richardson Community Hospice for the excellent care he received.